- Lenny hit the Top 40 with "Lady." - Kravitz was nominated for an American Music Award for Favorite Pop/Rock Male Artist. - Kravitz could be heard on the compilation LP Unity - Athens 2004 Olympics with "We Want Peace." - Kravitz hit the Top 40 with "Where Are We Runnin'?" - Kravitz released his next LP, Baptism. - Kravitz was nominated for a Grammy Award for Best Male Rock Vocal Performance ("If I Could Fall In Love"). - Kravitz was heard on the Bad Boys 2 soundtrack with the track "Show Me Your Soul." - VH1: 100 Best Songs of the Past 25 Years includes "Are You Gonna Go My Way?" at # 50. - Kravitz recorded the anti-war song "We Want Peace" as the US began invading Iraq. The song was performed with musicians from Iraq (Kadim Al Sahir), Palestine (Simon Shaheen), and Lebanon (Jamey Hadded). The song was made available for free at www.rockthevote.org. - Kravitz could be heard helping out Jay-Z on the track "Guns & Roses" for Jay-Z's LP, The Blueprint 2: The Gift And The Curse. 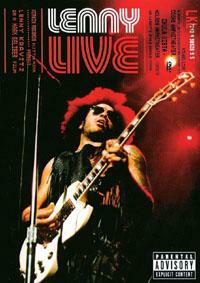 - Kravitz released the DVD, Lenny Live, with performances from his world tour this year. - Kravitz ranked # 14 on VH1: 100 Sexiest Artists. - Kravitz hit the Top 40 with "Stillness Of Heart." - Lenny won his 4th consecutive Grammy Award for Best Male Rock Vocal Performance ("Dig In"). - Lenny won an American Music Award for Favorite Male Pop/Rock Artist and performed at the ceremony. - Lenny hit the Top 10 with "Dig In." - Lenny was certified platinum. - Lenny won a My VH1 Award for Favorite Male Artist. - Lenny could be heard helping out Mick Jagger on his solo LP, Goddess In The Doorway on the track "God Gave Me Everything." - Lenny hit the Top 40 with "Dig In." 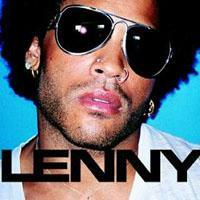 - Lenny released his next LP, Lenny. - Lenny was nominated for a MTV Video Music Award for Best Male Video ("Again"). - VH1: 100 Greatest Videos includes: # 52 - "Are You Gonna Go My Way." - Kravitz won a Blockbuster Entertainment Award for Favorite Male Artist - Rock and was nominated for Favorite Male Artist - Pop. - Greatest Hits was certified 3x platinum. - Kravitz won his 3rd Grammy Award in a row for Best Male Rock Vocal Performance and was also nominated for Best Rock Song (both for "Again"). - Greatest Hits was certified 2x platinum. - Kravitz hit the Top 10 with "Again." 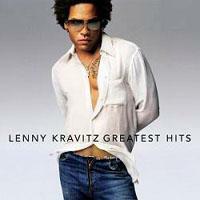 - Kravitz hit #1 on the Billboard Internet Sales chart for 1 week with Greatest Hits. - Kravitz came in at # 93 on VH1: 100 Greatest Artists of Hard Rock. - Greatest Hits was certified platinum. - Kravitz was handcuffed and questioned by police in Miami because he matched the description of a bank robber being searched for by the police. - Kravitz released Greatest Hits with the new track "Again" which hit the Top 40. - Kravitz could be heard on Busta Rhymes' LP, Anarchy, on the track "Make Noise"
- Kravitz hit the Top 10 with "I Belong To You." - Kravitz won a 2nd Grammy Award for Best Male Rock Vocal Performance ("American Woman"). - Kravitz hit the Top 40 with "I Belong To You." - Kravitz was nominated for an American Music Award for Favorite Male Artist. - MTV: 100 Greatest Videos Ever Made includes "Are You Gonna Go My Way?" at # 90. - Kravitz was nominated for a MTV Europe Music Award for Best Rock Artist. - Persistent throat problems reportedly led to the end of his "Freedom Tour." - Kravitz was nominated for a MTV Video Music Award for Best Male Video and Best Rock Video ("Fly Away"). - Kravitz was nominated for a VH1 Fashion Award for Most Fashionable Artist (Male). - 5 was certified 2x platinum. - Kravitz hit the Top 40 with his cover of "American Woman." - Kravitz told WallOfSound: "I'm gonna make a film on my own and put it out at the end of this year." - Kravitz collapsed of heat exhaustion backstage after a concert in New Jersey after singing 4 songs. - Kravitz hit the Top 3 with "Fly Away" and could also be heard on the soundtrack for Austin Powers: The Spy Who Shagged Me with the Guess Who cover of "American Woman" (which was later added to future 5 pressings) and the compilation, Elton John And Tim Rice's Aida, with "Like Father Like Son." - Kravitz hit the Top 10 with "Fly Away." - Kravitz won his first Grammy Award for Best Male Rock Vocal Performance ("Fly Away"). - 5 was certified platinum. - Kravitz won the Most Fashionable Artist, Male Award at the VH1/Vogue Fashion Awards. - Kravitz hit the Top 40 with "Fly Away." - Kravitz topped the Billboard Mainstream Rock Tracks chart with "Fly Away" for 3 weeks and the Modern Rock Tracks chart for 2 weeks. - Throat problems plagued Kravitz's tour with cancellations. Kravitz only played for 35 minutes in Cincinnati before he had to cancel the remainder of the show, followed by a cancellation in Pittsburgh. - He had also cancelled shows in Indiana and Ohio earlier in the month due to the same throat problems. - 5 was certified gold. - Kravitz talked with Rock Daily about such things as why he cut off his dreadlocks: "It was time for them to go, man... they held a lot of vibes and have been through all my experiences with me... I needed to shed them." Kravitz wrote the song "Little Girl's Eyes" for his daughter, Zoe: "That is actually one of the most difficult songs to write because I knew it was specifically for my daughter... I was more nervous doing that than getting up in front of 100,000 people..."
- Kravitz released 5 which was described as his most personal effort with songs about the death of his mother and fatherhood. 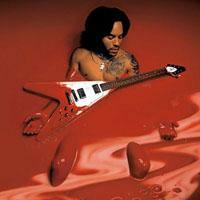 Since his last LP, Kravitz has had to deal with the death of his mother, actress Roxie Roker (of The Jeffersons). Kravitz told CNN, "I had to put my priorities in order. Witnessing a death, or rather a transformation into the next, really made me think about my life. I had great success and wasn't enjoying a lot of it. That's sad. I decided that if I wasn't going to have some sort of enjoyment out of something, I wasn't going to do it. So when I went into the studio, it was a real free experiences. I felt as though it was my first record again, and that was a blessing... My main objective this time was to have fun, which is why I got into it in the first place." 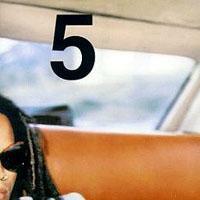 The track "Thinking Of You" on 5 is a tribute to Kravitz's mother. Another track, "Little Girl's Eyes" was written as a birthday gift for his 9 year-old daughter.